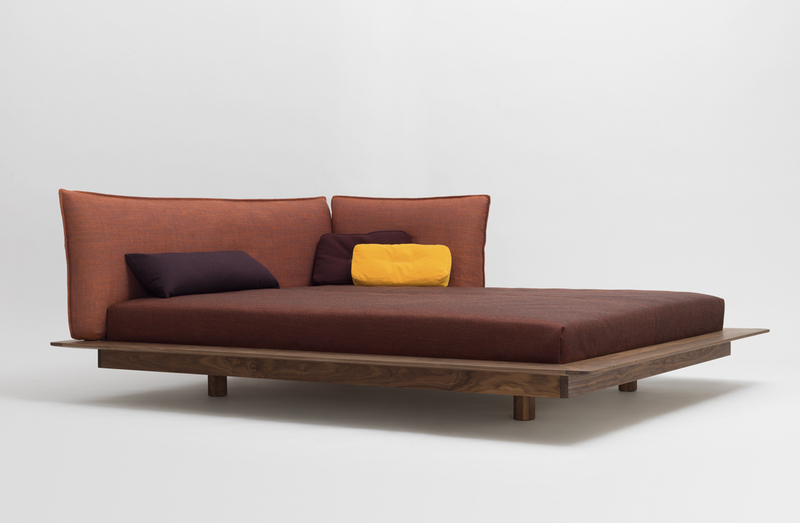 Bed collection with base in solid oak, ash, cherry, or walnut wood. Available without headboard or with upholstered headboard in various positions surrounding base. Queen and King sizes available.